When would you like to stay at Kupeli Otel - Check Availability & Room Rates!!! 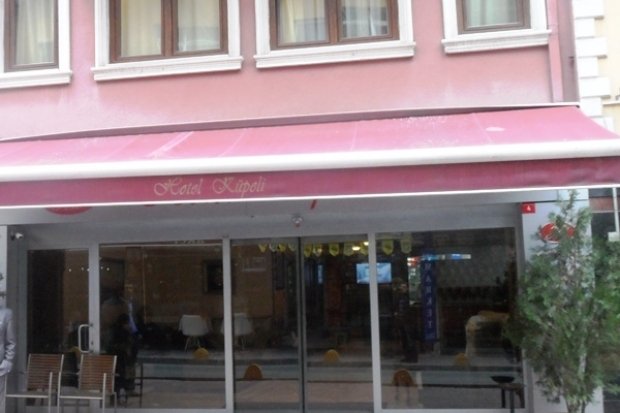 Kupeli Hotel located on Gedikpaşa Hamam street. Sultanahmet/Istanbul. Kupeli Hotel located on old city peninsula close to all historical sites as Blue Mosque, Hagia Sophia,Topkapi Palace, Archeological Museum, Basilica Cistern, Grand Bazaar, an Ideal destination for whom want to wish live old Istanbul area covered with modern and luxurious environment.Also Kupeli Hotel is close to sea shore for walking or jogging activities. Kupeli Hotel has 19 standard and 1 deluxue rooms in total 20 rooms as well-designed and Terrace is open from May to October to get drink or dinner during stay. All rooms include minibars, coffee/tea makers, hair dryers and in-house amenities. How far and How long will it take from/to the Kupeli Hotel Istanbul from/to International Airports and cruise Ports. Ataturk Airport-Lost and Found Sultanahmet Transfer How to meet at Sabiha Airport Ataturk Airport Transportation Istanbul Airport Transfer How to get from Sabiha Gokcen Airport to the city? How to get from cruise ports to the city? How to meet at Ataturk airport How to get from Ataturk airport to the city? Is there any additional charge for my airport transfer service?